Being a sysadmin is hard, we know that! And that is why we launched GFI OneGuard – one platform which integrates three solutions which are normally found as stand alone. 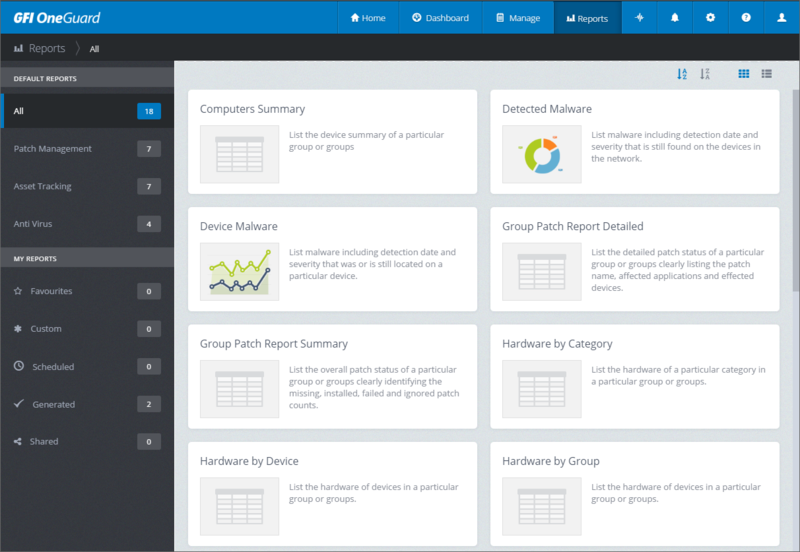 The three services are: Asset discovery and management, antivirus and, patch management and deployment. This way, GFI OneGuard does away with all complexities of manual installation of components and services. With this approach of three solutions in one, GFI OneGuard is able to overcome challenges that sysadmins and IT pros face on a day-to-day basis. What’s up with the network at any point in time? This is the lack of visibility that many sysadmins face in their day to day work. But getting an answer to that question isn’t as straightforward as running one report. With different systems, this is a complex task which requires access to several dashboards and reports. Then there is the need to correlate these reports in order to make sense of all this. Such a task requires significant, and precious time which the IT pro can spend on other more vital tasks. GFI OneGuard does away with all this loss of time as it ships with a suite of predefined reports, covering the functionality of the services provided. 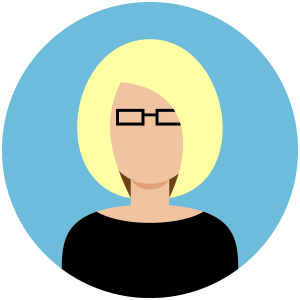 All reports can be customised according to need and they are all accessible from a central dashboard. Oh and to save even more time, GFI OneGuard is also able to send scheduled reports to management (or anyone else) as directed by the IT pro. Not only do sysadmins have to ensure that their networks are secure but they also have to demonstrate that they are taking all the required actions to keep these networks safe. Again, this is a task which can eat away at precious time but with the above mentioned reports together with the Activity Monitor you can keep up with your compliance requirements. 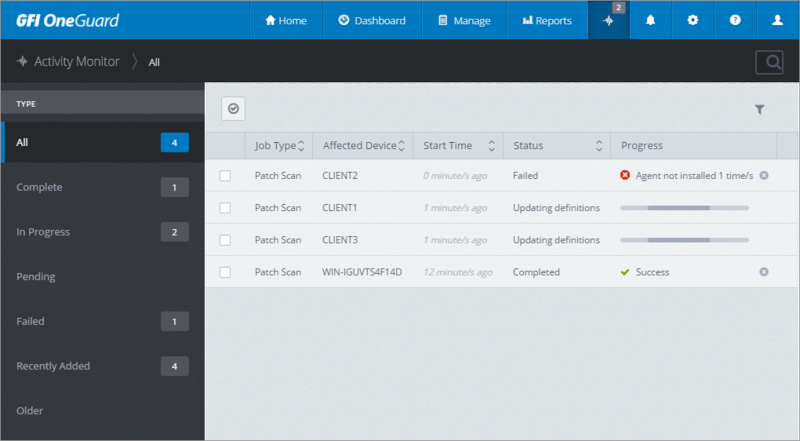 Sysadmins can control three different applications from one central console. This means that not only can action be taken swiftly but that all the information – such as patch status or what action was taken on a virus discovery – is all gathered in a single system. 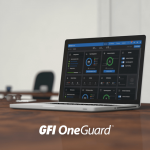 GFI OneGuard can be deployed either on-premise, in the cloud and even in a hybrid environment. This gives total flexibility in the way you want to secure your organization. Read more about how you can plan GFI OneGuard deployment here. Since GFI OneGuard is one platform, sysadmins don’t need to worry about the integration of the three different applications. The platform is designed with responsive and ease of use in mind and has gone through various cycles of usability testing. Furthermore, scalability problems need not be a concern as GFI OneGuard was designed specifically to scale according to the needs of the company. With different systems sysadmins are not always sure about the reputation and quality of each individual component. GFI OneGuard is built on years of research and expertise gathered from a GFI Software solution, GFI LanGuard for its e-discovery and patch management needs. As for the antivirus, GFI OneGuard is powered by one of the vendors which has the best reputation: Kaspersky Labs. As GFI OneGuard continues to develop in the future, GFI software will be choosing partners with a solid reputation in order to deliver the best breed of solutions. Have you treid GFI OneGuard yet? Why not give it a test drive and let us know how you get on. Click here for a free 30 day trial.